Casey and Kristi Kinman of Dry Ridge announce the birth of their twins. Emmy Lynn and Tucker Lee were born at 5:30 a.m. on Sept. 25, 2008 at St. Luke Hospital. Emmy Lynn weighed 5 pounds, 8 ounces and was 18 inches long. Tucker Lee weighed 5 pounds, 1 ounce and was 18 inches long. Their maternal grandparents are David and Pam Pennington of Dry Ridge. Their paternal grandparents are Arthur and Pat Kinman of Dry Ridge. Emmy and Tucker were welcomed home by their cousins, Brailynn and Cole. Jewell Martin and the late Randall Martin, and Debra Peters and Robert Flege, both of Williamstown announce the engagement and forthcoming marriage of their daughter, Nikki Flege, to Jeffrey Marshall Jr., son of Rebecca Marshall Jones and Jeff Marshall Sr. and Ralph and Georgia Marshall, both of Williamstown. 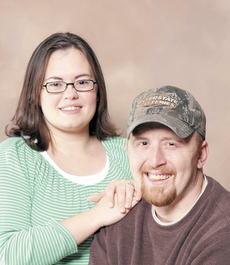 The wedding is being planned for 2:30 p.m. on Jan. 10 at Williamstown Baptist Church. A reception will follow at the American Legion Hall in Williamstown. The bride is a 2001 graduate of Williamstown High School. Ann Lanter’s 90th birthday on Nov. 16, 2008 was celebrated by members of the Faithful Workers Sunday school class at Dry Ridge Baptist Church, a class she taught until a few months ago. Post 6 Kentucky State Police retired troopers, officers and staff attended as well. Lanter retired from Post 6 in Dry Ridge. Family members and friends attended the celebration and shared punch, cake and other delicacies with Lanter. 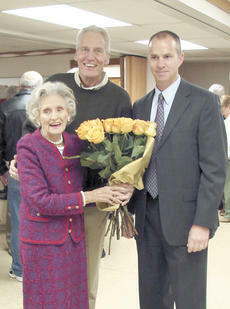 The descendants of the late Ollie and Agnes Speagle Alexander attempted to meet at Walton Park on Sept. 14, 2008 for their annual reunion. Due to the remnants of Hurricane Ike, the event was moved to a cousin’s home. From out of state: Donald and Juva Alexander of Jackson, Mich. And Donna Alexander of Ypsilanti, Mich., Paul W. and Doris Alexander of Vevay, Ind. and Robert Alexander and Pam Lucas of Madison, Ind. Wondering what to give that special someone who has everything for Christmas? Or, trying to find something distinctive yet affordable for a unique person in your life? Want to have something different to do in Grant County for the holidays? Look no farther! Grant County Community Enrichment Through the Arts (CETA) has their Third Annual “Give the Gift of Art” exhibit going on now through Jan. 10, 2009. Kyle and Jenka Conrad of San Diego, Cal. announce the birth of their first child. Taylor Lynn was born at 2:58 a.m. on Sept. 26, 2008 at Georgetown. She weighed 6 pounds, 15 ounces and was 18 inches long. 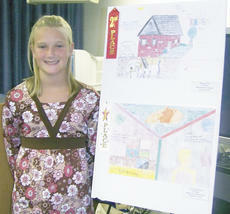 Her maternal grandparents are Rachel Taylor and Mike Lockwood of Dry Ridge. Her maternal great grandparents are Babe and Faye Taylor of Dry Ridge and George and Reda Lockwood of Williamstown. Her paternal grandparents are Chris and Judy Conrad of Dry Ridge. Her paternal great grandparents are Faye and Ulysses Noe of Prebble County, Ohio. Hi! My name is Carson Kenneth Dwain Osborne. I was born on April 11, 2007 at St. Luke Hospital West in Florence. My parents are Donnie and Chrissie Osborne of Dry Ridge. Donnie and Chrissie Osborne of Dry Ridge announce the birth of their fourth child. 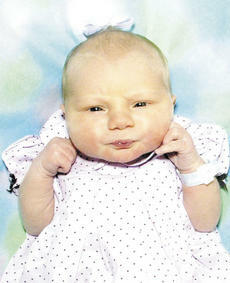 Savannah Faye Osborne was born at 1:21 a.m. on March 7, 2008 at St. Luke Hospital West in Florence. to whom your smile was given. and send us your love. to a mansion on high. when our own time is nigh.